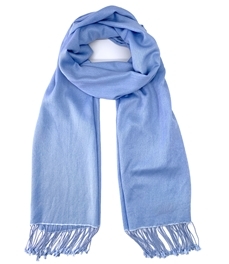 There is nothing as smooth as silk, and The Pashmina Store is proud to bring you the finest quality Light Blue pashmina wraps made with 70% top-quality pashmina wool and 30% luxurious silk. The touch of silk gives the pashmina an exceptional feel and an wonderful sheen. 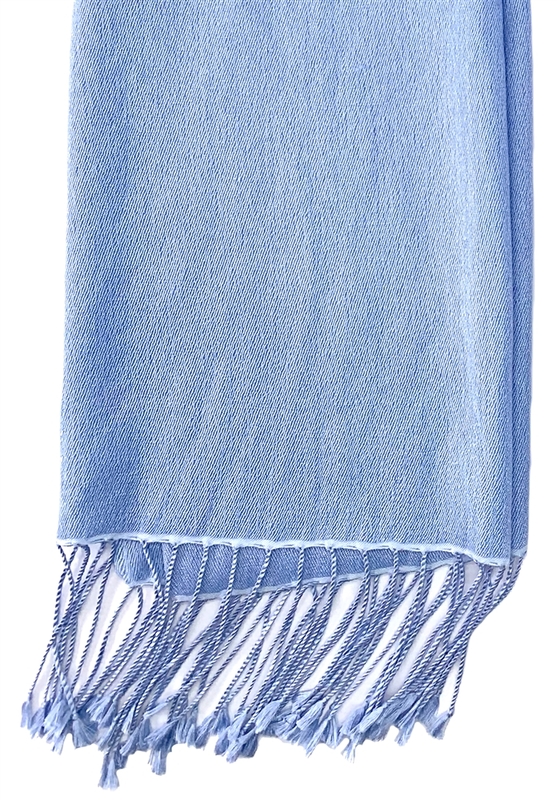 This beautiful light blue wrap is 28" x 80", plus 3" tassels on both ends. It is traditionally crafted by hand to give you a fabulous fashionable accessory. I've order many pashminas from The Pashmina Store and have always been happy. 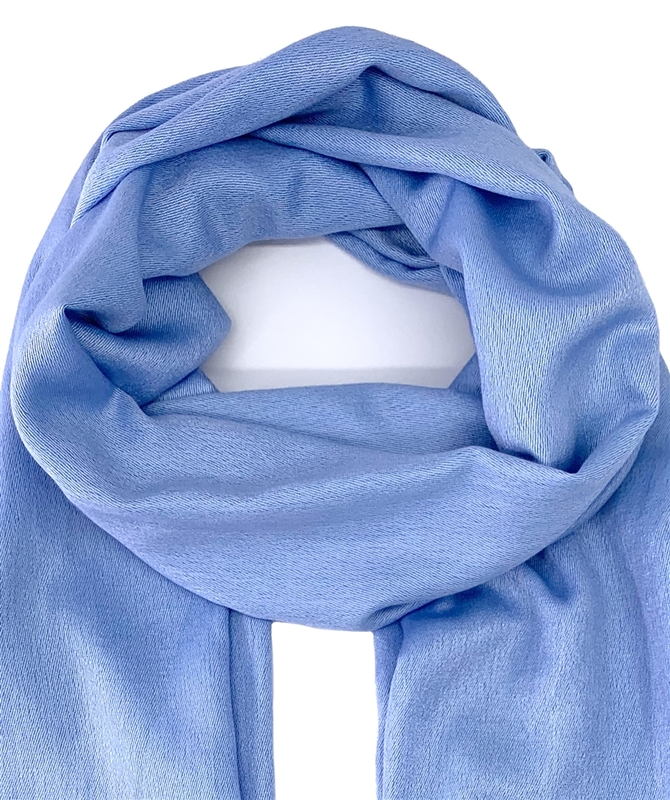 I really like the soft blue tone of this wrap. These arrived yesterday (extrememly fast shipping, by the way) and are absolutely beautiful. Much better than I could have imagined.